UltraDEX provides many additional benefits as well as complete fresh breath confidence and advanced protection for teeth & gums. 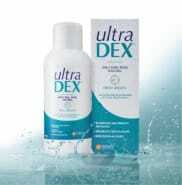 Incorporating UltraDEX products into your daily oral care regime will help assure you of exceptional oral hygiene. The clinically proven technology within both the UltraDEX Original and Sensitive ranges, also helps to restore natural whiteness to teeth as it gently oxidises organic stains such as tea, coffee, red wine and tobacco. UltraDEX Sensitive products are especially ideal for whitening maintenance following professional whitening treatments which can sometimes cause teeth to become temporarily sensitive and prone to staining. 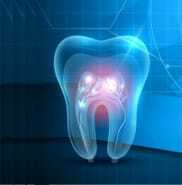 All UltraDEX products are highly effective due to the clinically proven technology yet they are especially gentle on the teeth & gums. All UltraDEX mouthwashes are free from alcohol and chlorhexidine and the toothpastes are also sulphate free and low in abrasion. We want to ensure that as many people as possible can experience the benefits of UltraDEX. All of our mouthwashes, toothpastes and spray are approved by the Vegetarian Society, registered with the Vegan Society and have Kosher status.